Our meeting location is the Emergency Management Services (EMS) Building Training Room, 1175 N. Main St., Boerne, TX 78006. Meetings are held on the first Thursday of each month and convene at 7:00 PM. Enter through the door at the Southeast corner of the building. 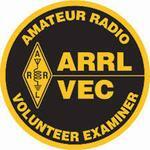 Volunteer Examiners: KARS has 11 VE's and can test candidates for Technician, General, and Extra Class licenses. When: During or after our regular monthly meeting, the first Thursday of each month. Please call to schedule your test at least one week in advance. Location: Boerne, TX. See our location information above for specific location information.